Having won the tightly-contested the Presidential election, albeit by a narrow margin, Dilma Rousseff has her task cut out. In her second term as Brazilian president, Dilma has the tough job of perking up the country’s stagnant economy in her four-year term. Acknowledging the challenge ahead, Dilma said she should take measures to combat inflation as well as boost industrial output. “I will promote actions in the economy to resume our growth speed and ensure high levels of employment,” she said in her victory address. However, it is easier said than done. The markets reacted sharply to the left-wing leader’s re-election. On Monday, the next day after the results came, Brazilian stocks and currency plunged in trading around the world. 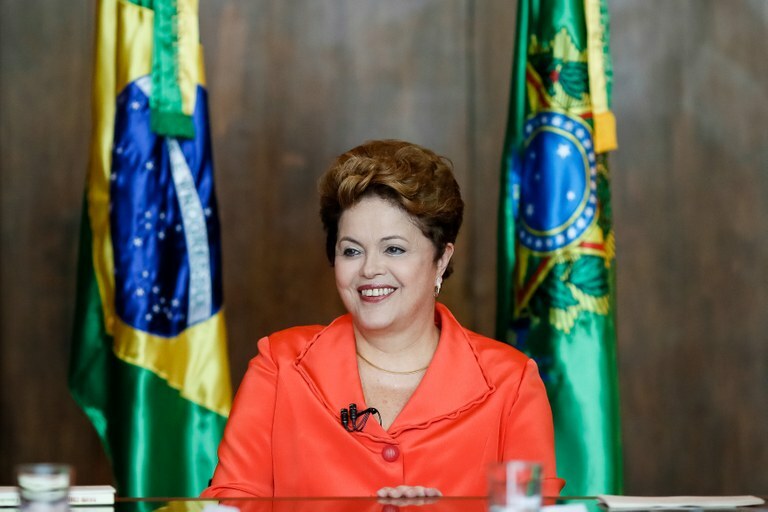 Dilma of the Workers’ Party was re-elected on October 26 with 51.6 per cent votes. Aécio Neves of the conservative Brazilian Social Democracy Party secured 48.4 per cent. Notably, Dilma’s margin of victory is the slimmest in Brazilian electoral history. The markets had favoured Neves because he was considered business-friendly. On the other hand, Dilma’s policies are known to be centred around welfare schemes and social sector spending. Interestingly, if Dilma has to revive the Brazilian economy, she might have to adopt Neves’ ideas for growth. However, she will not be able to abandon her pet social programmes, for which her voters have given her a second term.